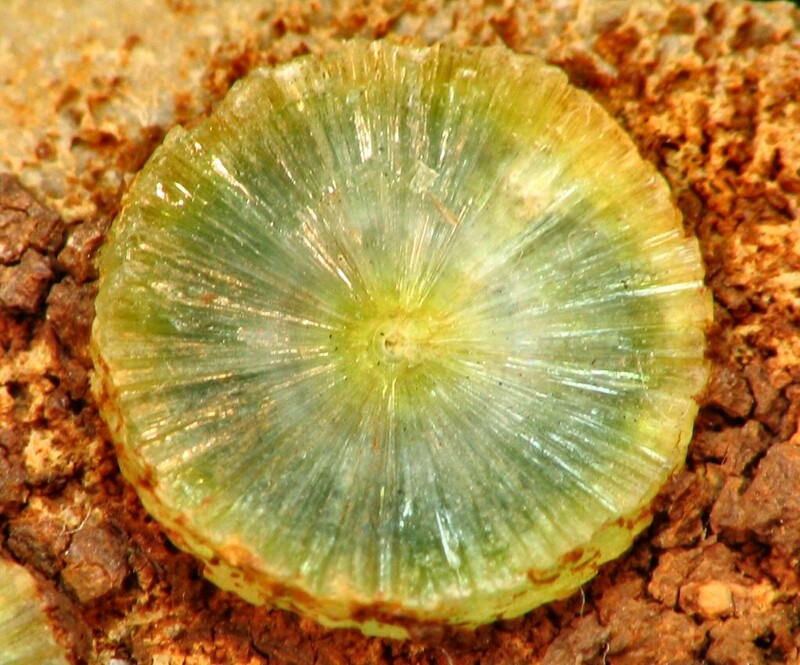 Comments: Green prismatic crystals of wavellite in complete radial stellar aggregate. Location: Flinders Range, South Australia, Australia. Scale: Sphere size 8 mm.